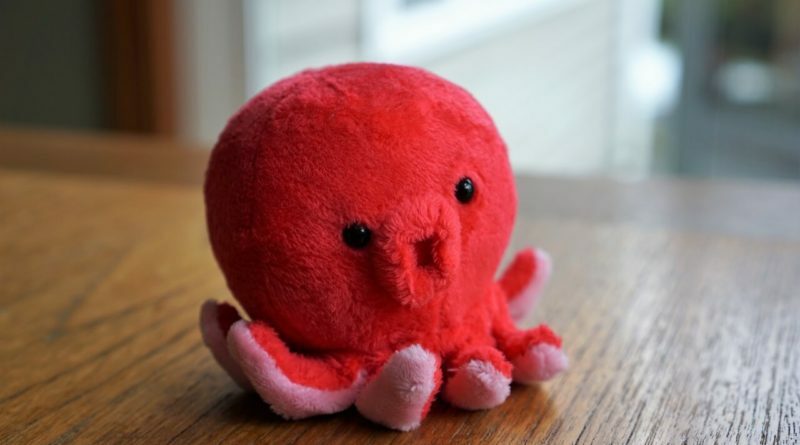 The Tako family has returned from Japan, and it’s time to face the accountant’s calculator. Did we burn through the yen at a crazy-insane rate, or did we “frugal it up” for our month in Japan? Unfortunately trying to figure out how much we spent in Japan was harder than I expected. Read on to find out why…. Expenses in October amounted to $7,192.31. That’s certainly not our most expensive month for the year, but it isn’t the cheapest either. Most of October’s discretionary spending was in Japanese yen (¥), so to make the conversion back to USD ($) I will be using an exchange rate of 1 U.S. dollar per ¥113 yen. Me? Posting food photos? Nah…ever happened. That $1.79 in food spending listed above was a final trip to the grocery store before our trip started (a couple bananas and yogurt for breakfast). The rest of our food spending was in yen, and can be found lumped together with the rest of our yen (¥) spending in the “Other” category. Why? Mainly because of vending machines! Credit cards are not as commonly used in Japan, and it’s a society that uses A LOT of vending machines. The vast majority of these take cash and don’t spit out a receipt (or it wasn’t obvious how to get them to spit out a receipt). Vending machines are literally everywhere in Japan. 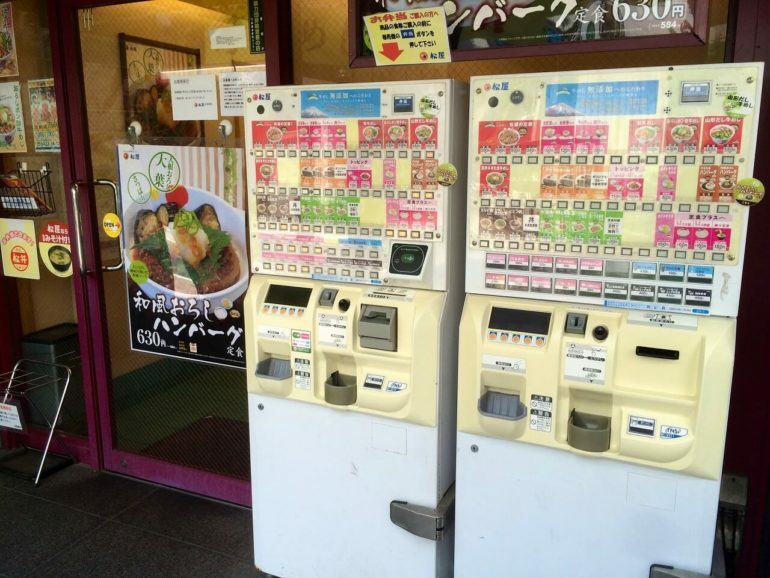 Many restaurants have vending machines outside like these. They use cash and don’t provide receipts. Roughly half of our yen expenses ended-up not having receipts (boo!). However, I did try to estimate the individual categories in the “Other” section below. We didn’t drive our cars enough in October to require a tank of gas. Regular fuel costs were $0 in October. 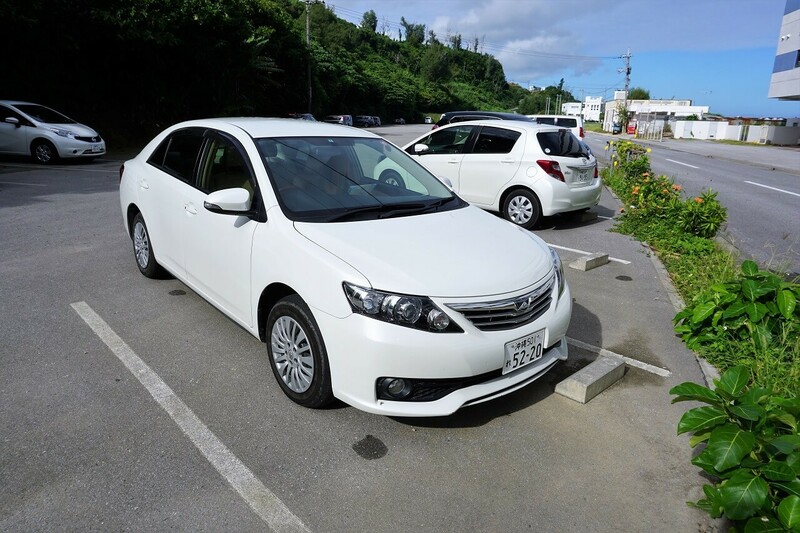 In Okinawa, we needed to refill the rental car with half a tank of gas, which cost $30. This was lumped together with the rest of our Yen spending in the “Other” category — we paid cash for the gas at a self-service vending machine. Thirty dollars for half a tank of gas does sound expensive, but it’s worth remembering we drove around Okinawa for 4 days on that. Start-stop systems are surprisingly efficient! Even though we were out of the country, we still had to pay our regular mortgage and childcare expenses. These were our largest expenses for the month. Unfortunately the bank won’t let you skip paying on the mortgage for a month, and childcare facilities will give up your kid’s spot to another child if you neglect to pay for a month. You still have to pay even when you go on vacation! We tried to negotiate a lower rate on our childcare for the month of October, but the facility wouldn’t give out discounts — If our kids attended a single day, we were expected the full monthly rate. Lame! Without these two costs dragging us down, our month in Japan would have been very affordable. Utilities were prepaid in prior months, so utility spending in October was $0. If you ever go on a long vacation, this is the best way to deal with paying regular household bills — Just prepay before you leave, and you don’t have to worry about paying the bill while on vacation! Internet expense for the month was our usual $49.99. It wasn’t worth the costs to disconnect our service for a single month. In Japan, we just stuck with free wifi for our internet access. Insurance for October was $0. 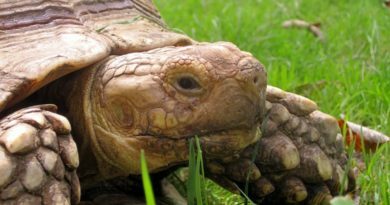 We paid our annual car insurance bill in September, and it was a killer! Thankfully that doesn’t happen every month and insurance was a lot more wallet-friendly in October. This is where the ‘meat’ of our spending was in October, and the bulk of it was in-cash. Japan is a largely cash based society. While some places do take credit cards (like hotels, car rental places, and some grocery stores), many do not. Knowing this, we primarily used cash during our trip. Our total spend for the entire trip was ¥300,000 ($2698.75). That’s $99.68 per day for a family of four. As you might expect, food expenses were significantly higher than what we would normally spend in a given month. Yes, we ate a lot during this trip, but tried to do so in a frugal way. The food in Japan is just sooo good! Yes, we ate out more often than we would have at home, but $31 per day for a family of 4 is not unreasonable. The Wakayama and Okinawa side-trips were also big expenses, mainly because we utilized hotels (these were package deals). I covered those expenses in more detail in those specific posts. Another notable expense, was the cost of trains and buses in Japan ($450). Again, in most situations you pay in-cash at a vending machine which doesn’t spit out a receipt. 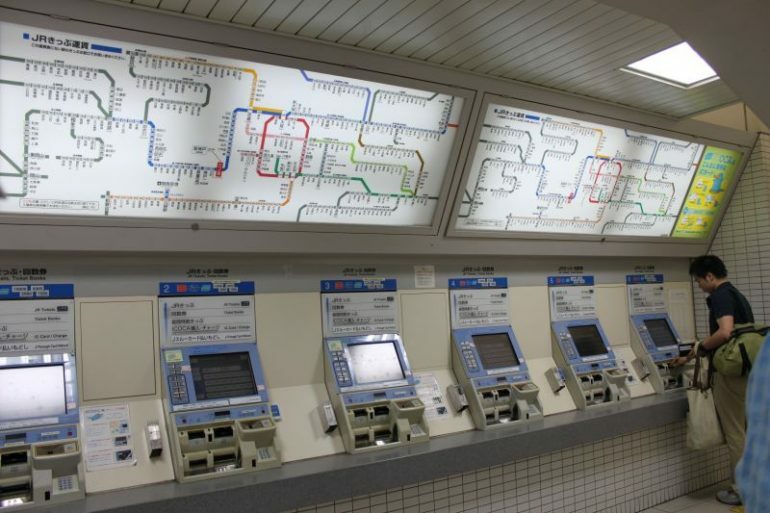 Train tickets are purchased at vending kiosks like these. Typically they take cash, or you can load-up a system card using cash. The cost of trains adds-up quickly when you travel in Japan. That said, we spent roughly half of what a typical tourist might spend on a Japan Rail Pass! Yes, you heard me right — the Japan Rail Pass isn’t always a great deal. For one, the rail pass doesn’t allow you to take other train companies that can be significantly cheaper. 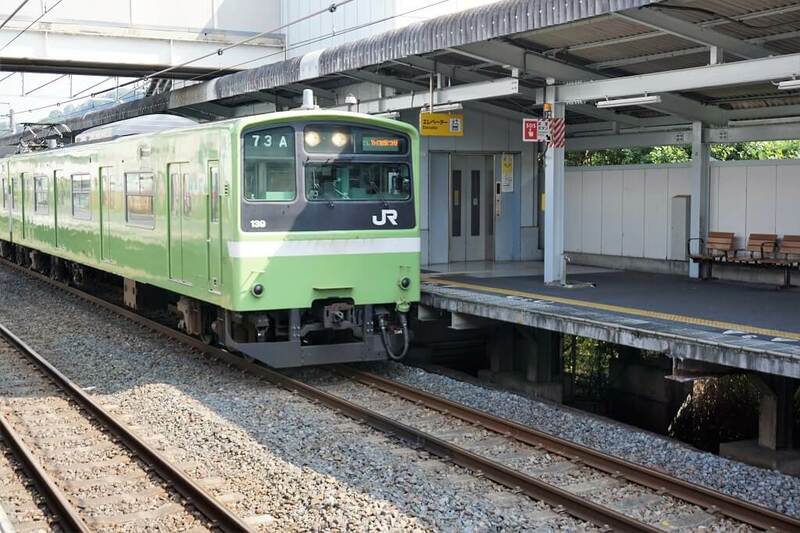 You’re stuck with JR.
To give an example: I remember one express trip from Kyoto to Osaka on the Hankyu Railway that cost a mere ¥470 (roughly $4). If we took a Shinkansen (bullet train), this same trip would have cost ¥3,020 (or $26.72). Japan Rail (JR) trains are not always the cheapest way to get around in Japan. Sometimes local subways or other railways can be cheaper. How do I know this? You can estimate the cost of any Japan Rail trip using the Hyperdia website. Do the math before you travel folks! It’s possible to save A LOT while traveling in Japan by using cheaper alternate lines, and avoiding the Shinkansen. Our cumulative expenses for the year are now $61,756.56 which is more than we spent in 2016. Expenses were higher, mainly because we did more traveling in 2017. Including airfare, our trip to Japan cost $5,690 alone! 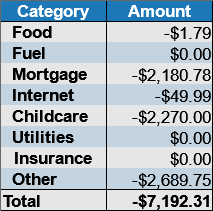 Outside of daycare and our mortgage, we’re pretty frugal people — core expenses have only amounted to $17,981 for the year (this includes travel expenses). While our mortgage and daycare expenses are quite high, those expenses certainly won’t last forever. The cost of daycare in particular is going to be one expense that I will celebrate when it’s gone. 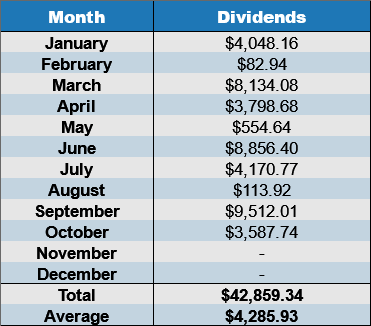 Dividends in October amounted to $3,587.74. This was slightly lower than what we usually receive at the beginning of the quarter. This was mainly due to preferred share redemptions we saw in August. Fewer preferred shares in our taxable accounts means lower dividend income. In total, we’ve received a total of $42,859.34 in dividends for the year 2017 (so far). I fully expect that December will be another nice quarter for dividends, bumping us up into the $52k territory for the year. 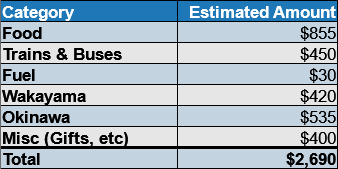 This is slightly behind what I originally estimated for the year, but it will be very close to the 10% dividend growth goal I set. It’s not perfect, but I’m quite happy with how our dividend income has grown in 2017! This section of the monthly report is dedicated to my quest to get a decent night sleep. Believe it or not, the trip to Japan did wonders for my sleep! A full three-quarters of the month I successfully got 7 hours of sleep per night! Whoo-hoo! I attribute this change to all the additional walking and time spent outdoors — I was dead-tired after a day of trekking around Japan, and all the extra time outdoors did wonders for keeping my internal clock in-sync. 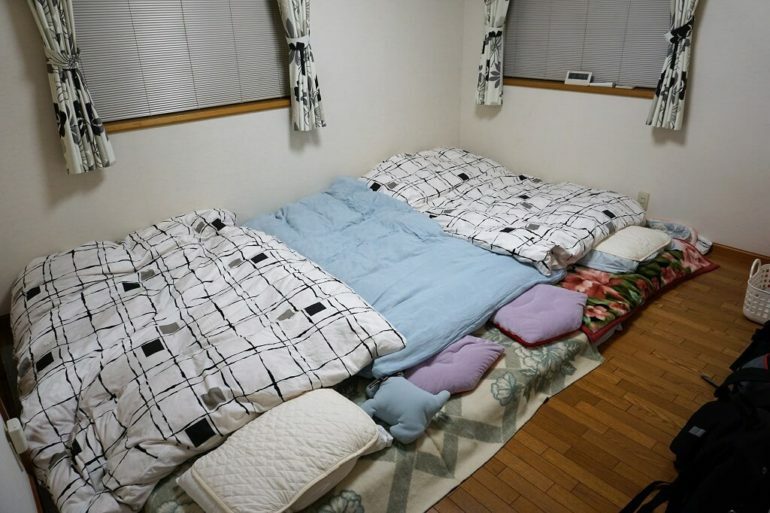 Did sleeping on the floor in Japan improve my sleep quality? 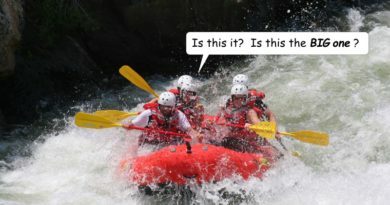 Probably not, but I was told the “volume” increased! Reportedly, I fell asleep very quickly and snored very loudly (to the irritation of the rest of the family). Normally I don’t snore, so all the additional noise could be a combination of being very tired, or the fact we slept on the floor. Can I keep getting a good amount of sleep going into November? I’m definitely going to try! What can I say? There were no big investment changes in our portfolio in October. We were on vacation! I spent very little time looking at the stock market, or my portfolio. We were too busy adventuring around Japan! That said, we did see another preferred share redemption in October, to the tune of $2627.45. This happened automatically while we were in Japan. 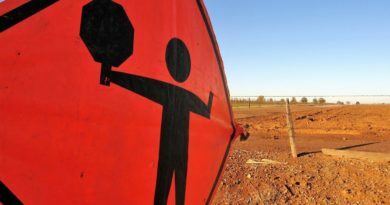 That money needs to be reinvested at some point, but it’s going to be impossible to find preferred shares with similar yields in today’s environment. As always, the hunt for good investments continues. Is Growth Hurting Your Investing Returns? A month seemed like a pretty good length of time… not to short that I felt like I didn’t get to experience enough, and not too long that I got bored! I hope to visit Japan some day! You really should WealthyDoc! It’s an amazing country that has a “different take” on many many things! When we lived in Japan in 2010 to 2013 (Kobe) the exchange rate was more like 80 yen to the dollar. Even with the very favorable exchange rate, if you managed to spend <$100 per day to eat while on vacation, you are a frugal Jedi. I loved living in Japan and get to go back a couple times a year for business trips. Wonderful people and absolutely fantastic food. 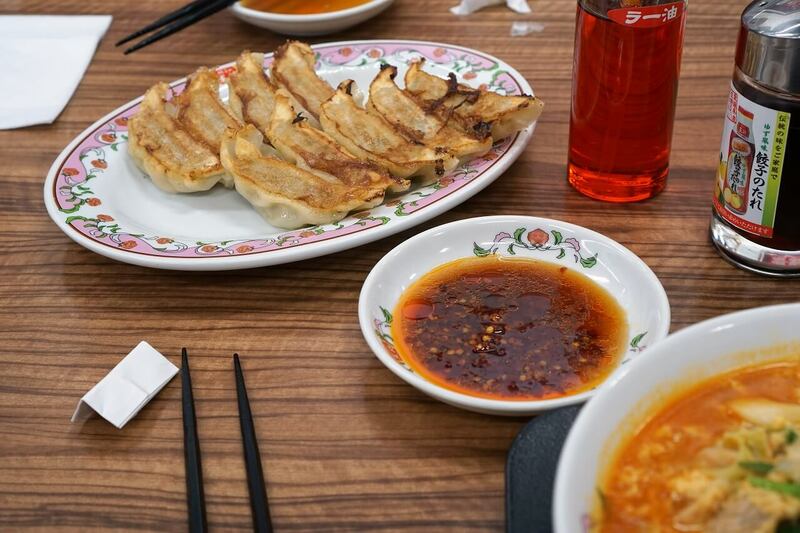 Your picture of the the gyoza and spicy pork ramen brought back some great memories. Thanks for reading Mr. Zero! We’ve visited Japan in the past, but this was by far our longest trip! We didn’t do anything especially ‘ninja-like’ when it came to meals… mostly we’d just head to the grocery store and buy all kinds of random prepared foods (or nearly prepared foods). Mrs. Tako called it grocery store tapas! Congrats on the nice dividend increase! Hi Mrs. FAF! I guess spending is all relative! We normally spend about $500 a month on food, so $855 seemed like a big jump! As always, thanks for reading! I always appreciate your kind comments! Next investment opportunity, bitcoin ? Is it a Ponzi scheme or a legit long term currency? I consider it a digital commodity with some fancy features. Just like gold (which people used to consider money), it holds value because people give it value. Nice summary report, Mr. Tako! It is good to hear that you are sleeping better and I encourage you to get out either by yourself early in the morning for a walk or jog or later in the morning with your boys. I think the snoring may have come from excess food consumption, especially if you put on some extra weight. No doubt you can use this time to shed it right off in a few weeks. 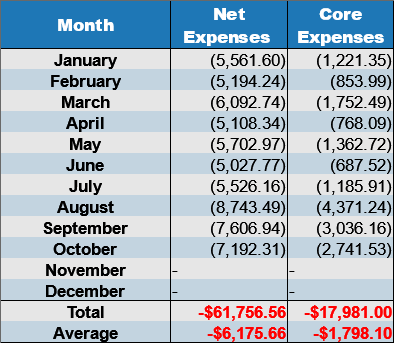 Our expenses in October were around $7K as well with good dividend income coming in at $7.7K and a lump sum of rental income at $6.5K, so all is chugging along nicely. Nice rental income Mike! You really killed it! Are your investments primarily in the states? Or elsewhere (thailand?)? Thanks! Dividend paying stocks are out of the USA. Rental income is our old place but this payout is lumpy, only pays every six months for half a year stay, so a fat month followed my many lean ones. Looks like a fun trip and done suitably frugally! Thanks Steve! It was a REALLY fun trip. I’d never spent that much time in Japan before, and we visited a TON of places! Lots of great new experiences for the kids! I love the vending machine restaurants in Japan. One of my favourite things! I’m with you on the whole “travel does wonders for your sleep”. I used to have a lot of trouble falling asleep when I was working (or even when I did fall asleep, I’d wake up panicking in the middle of the night). Now because we’re nomadic, I just fall asleep right away because of all the walking or swimming we do during the day. Your expenses are higher because of the Japan trip, but it’s money well spent! Money spent on experiences overrides money spent on things anyway in my books! Thanks for reading (without fail) FireCracker! I can always count on you for kind and insightful words! It *was* a expensive trip, but in the grand scheme of our yearly expenses it isn’t all that much! It was a really fantastic experience, that I don’t think the kids will soon forget! I think there’s nothing wrong with spending a little bit more while on vacation and enjoy good good. A long time ago I’d tell myself to be cheap while traveling and I’d come back to have the local food later. The thing I realized is that I needed to take the opportunity now rather than later. Japanese food is so diverse and so amazing. Thanks Tawcan! I always feel a little bit guilty about spending more on vacation, but you’re absolutely right — there’s just so many amazing new things to try, eat, and do! After this trip, I’ve become a enamored with matcha latte’s. $5700 for a month in Japan was cheap! I hate sleeping on floors so I’m not so sure if I wouldn’t have stayed at a hotel. I might have even bought a cheap bed! Your dividend income looks like it’s getting closer to covering your expenses. I know you’ll eventually get there and that’ll be even more impressive! Hiya Darren! Sleeping on the floor really wasn’t all that bad. I got used to it after only couple of nights! You know — when in Rome! As far as the dividend income goes — if we didn’t have that darn daycare to pay for we’d more than cover our costs (including expensive trips to Japan!). It looks like we’ll have 9-10% income growth this year. I definitely don’t feel bad about that! What a great trip! Your passive income paid for half of your trip, what a great feeling. That’s interesting that Japan is mainly a cash based society, and that you paid for gas through a vending machine! Also, congrats on the 7+ hours of sleep, how do you feel? With a 3 month old, I’m still waiting for more sleep, I hit the snooze button for another 30 minutes today I was so tired. Sleep deprivation is not a good feeling for sure, some days I feel like I was hit by a bus. Hope you get to keep up with the sleep in November and welcome back to PNW! Hi GenYMoney! Felt pretty good to get that kind of sleep after a couple years of hardly any sleep… I know exactly what you’re dealing with. Having a 3 month old isn’t easy. Give it a couple years and eventually you won’t have to wake up every couple of hours. Gogogogogogo! Not bad considering you spent 5k on travel. I’m still totes jelly of all the great food you got to eat. Also, I am human or cephalopod and have checked the appropriate box. Over half the cost of our trip was on flights! 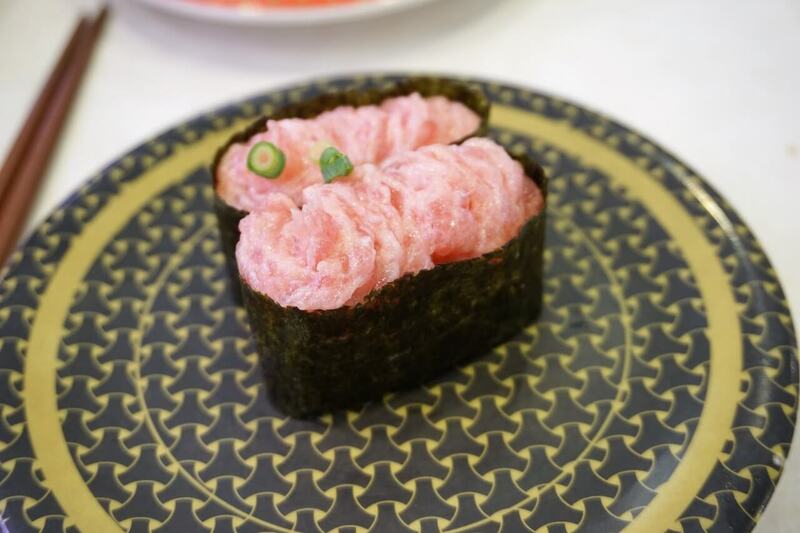 There’s lot’s of yummy food in Japan. Even at the “budget” places we frequented it was pretty fantastic! Whoa, look at that dividend income! You all are killing it. Maybe the GOP will come up with a kinder way to tax dividend income in the final iteration of the tax bill. Love all the food photos and that picture of the train map brought back memories. By the end of our trip, we basically had it down. And it does add up but it’s worth the cost: such an efficient way to get around. Thanks DonebyForty! As far as I know, the newly proposed tax bill makes no changes to how dividends or capital gains are taxed. With our low income we don’t pay a lot of taxes on those dividends anyway! In most years the extra ACA dividend taxes don’t affect us (we typically make less than $250k). Totally agree about train travel — it’s very efficient! If one includes the cost of car licensing and depreciation, in many cases trains are a cheaper way to get around! None. We don’t count dividends in our deferred tax accounts. These are entirely from our taxable brokerage accounts. We’re not touching our tax deferred accounts at this time. I was so surprised when I watched vlogs of Japanese travel that there are many restaurants using vending machines to take peoples orders. Well, it certainly reduces the expenses for retail businesses to pay for staff. I find your blog and income/expenses reports very interesting Mr. Tako. You are the first one that I have found that achieved financial independence through dividends, and to achieve it in just 14 years after college is admirable. Yeah, that’s a good point — Fruit can be oddly expensive there! What a month, seems like you had a great time in Japan, and it did not even break the bank! Thanks Cheesy! Good to see you around these parts again! Oh, I’ve always been here, just limiting my commenting to take it easy on my RSI arm. It’s really improving, so I’m slowly starting to leave the occasional comment again around the FIRE community. Since we moved to Japan I started writing down my expenses in a google spreadsheet on my phone every single time I buy something. Grocery shopping? Add the amount to my spreadsheet as soon as I leave the store. A coffee can at the vending machine? It goes into the spreadsheet too. I keep it simple: date, amount, category. This way I don’t bother keeping the receipts either, unless for big ticket items.